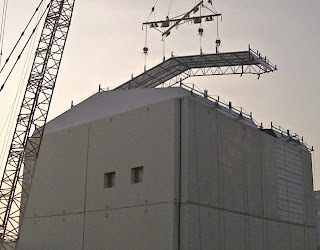 -TEPCO has announced that as of today, the final additions to the enclosure structure at No. 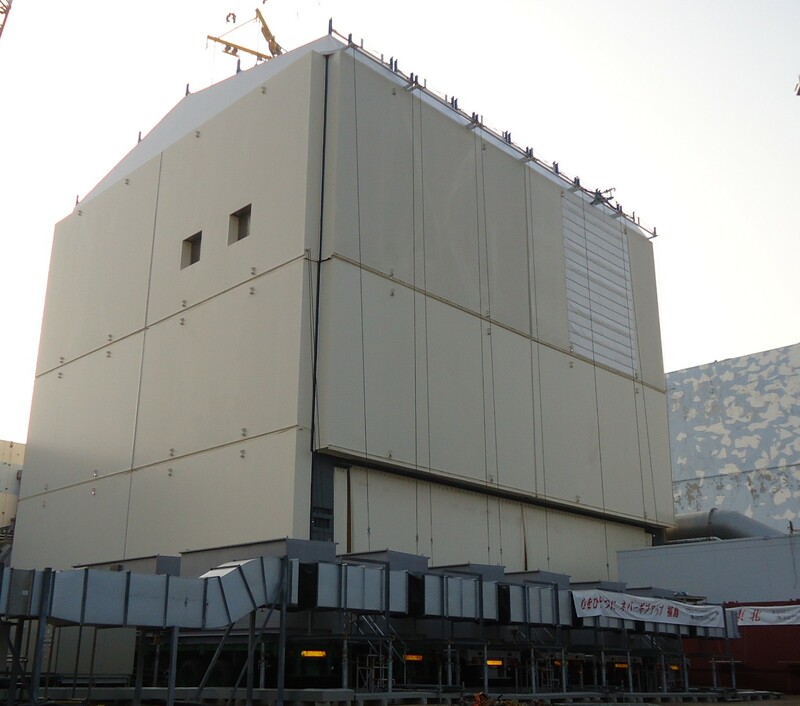 1 reactor building have been made (air circulation and filtration equipment) and that the inspection of the structure and systems by NISA is completed satisfactorily. The structure itself has been completed for a while, but this might be considered as the official commissioning of the entire structure and ventilation system. -TEPCO has also announced that it will drastically increase the amount of water being injected to No. 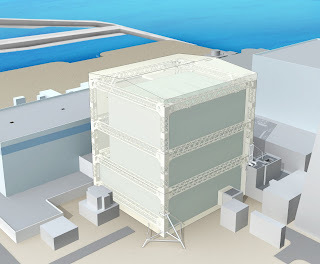 1 reactor in order to cut down on evaporation inside the structure. 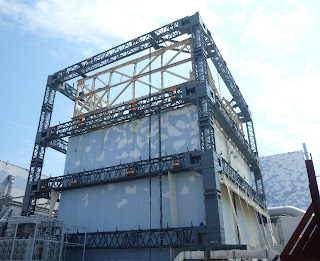 It appears that the high humidity environment is hampering the ability to work inside, so TEPCO will increase the feed rate through the feed line (normal feedwater injection line) upward from 4 cubic meters per hour to 7.5 cubic meters per hour over four days. When the conditions of the plant are ascertained at that point TEPCO will further increase water flow. This will also reduce drastically any gaseous emissions to the enclosure from the damaged reactor. -TEPCO has discovered a nearly or else completely sheared axle shaft casing on the overhead crane at the common spent fuel building at Fukushima Daiichi. The cause is yet unknown, and no hazard is posed at this time. -TEPCO is almost ready to place the gas handling system (improvised arrangement) at No. 2 reactor plant (to handle gases in the primary containment) into operation. This system will filter out radioactive airborne contaminants. 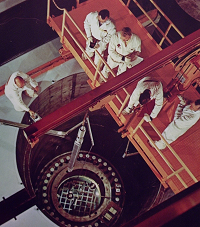 Similar systems will be employed eventually at all three reactors. 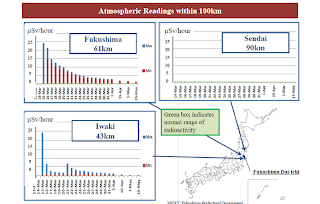 -Finally, airborne releases from Fukushima Daiichi continue to decline .. contrary to many reports on anti-nuclear sites .. as shown by these two panels from a report issued by the Japanese Prime Minister's office. Labels: "fukushima daiichi", "NISA", "TEPCO"
Tokyo Electric Power Company (TEPCO) has released a second installment of its video series "Report from Fukushima Daiichi." This is one of three general types of video that TEPCO has been producing since the accident (the other two being the continuing coherent series on accident recovery actions, and a gaggle of unrelated videos which happen to be specific to whatever problem is being dealt with at the moment, which we might call situational videos.) This type of video is meant to give an overall view of conditions and operations at the site. TEPCO has promised (as this video notes) to give as complete and open a picture as possible concerning recovery operations on site, and considering the massive efforts underway there, these videos are a bonus addition to the voluminous web and paper reporting TEPCO is performing. The newest video is presently the featured video on the APR YouTube Channel. It's time again for the weekly Carnival, and this week APR is proud to host. There seem to be as many entries as ever this week, so I'll skip the usual long-winded prefatory matter and get right to the content. That is, after I ask you "What is this?" and show you a picture. You'll get the answer and perhaps a bit more after the Carnival entries. So let's get to it! This week has seen a great deal of confrontation with anti-nuclear activists, both in comment sections of blogs and on the Facebook page of one Christie Brinkley, who is actually on the board of directors for a non-profit 501(c)3 anti-nuclear organization, RPHP. For that reason, and knowing the full weight of the action which has gone on this week, APR has decided not to present its own specifically produced content and instead defers the lead article spot to Suzanne Hobbs for her fine and brief summation of the events. Speaking briefly of this organization, called RPHP or the Radiation and Public Health Project... Yours truly countered Joe Mangano who posted on Brinkey's side with a post among other things about the SRE core damage incident. 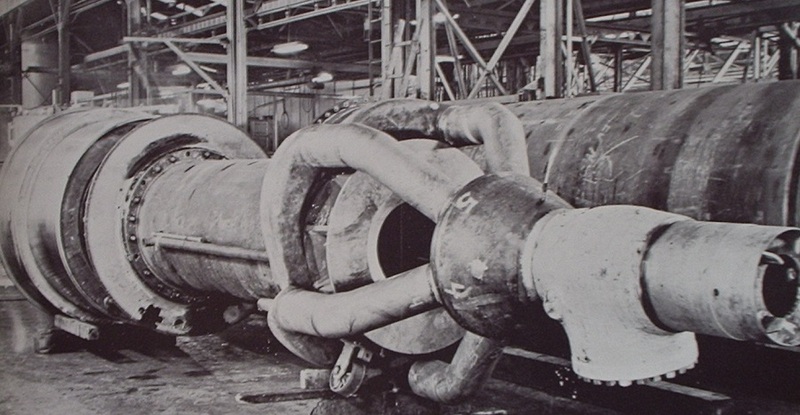 (To be brief, Mangano called this possibly the worst core melt in US history and something which was suppressed; I posted that it was never secret, that 12 of 43 fuel elements were damaged with a total release of ~0.3% of the core inventory, and that the plant was refueled and operated following this 1959 incident. There was more.) Suzy tells us in late breaking news now that she's found that in 2008, 73% of RPHP's income went to pay Mangano. This would be $82,000 dollars. (I looked at the 2010 file and that appears to be Mangano's annual salary.) Only $2800 was spent on radiation testing -- about 2.5% of their funding. It's not surprising, then, that Mangano rallied to Brinkley's defense; he is RPHP's paid man, holding position of Secretary with the RPHP organization. Look for more data at guidestar.org. Thanks to Suzanne Hobbs for this information. Hobbs reflects on a recent energy debate with model/actress Christie Brinkley. Unfortunately, celebrities are effectively reaching the public with false information about nuclear energy on a large scale. She concludes that celebrity anti-nuclear activism is a real issue that should be addressed by the nuclear industry. Meredith Angwin - Yes Vermont Yankee! This is a short blog, but it points to an excellent newsletter done by the International Association of Energy Economists. 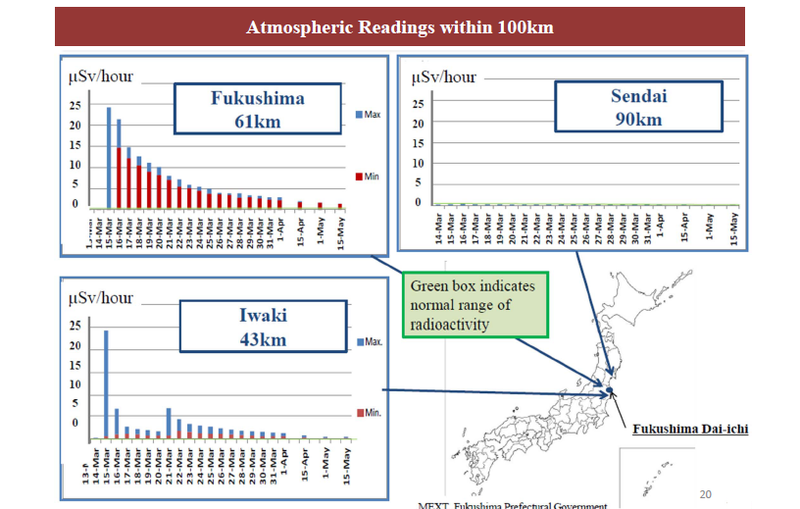 I have co-authored one of the articles in this newsletter, but the newsletter itself is filled with a dozen points of view about Fukushima and its impact in Japan and the world at large. Interesting reading from a non-nuclear perspective. The NRC's review of the effects of the August 23 earthquake on Dominion's North Anna power station is coming to a logical and reasonable close. The agency says the staff is writing a safety evaluation review that could result in a re-start decision letter by mid-November. The NRC wrote in its "FAQ" about the earthquake . . . "ground motion experienced by plant structures . . . may have exceeded design [but] does not appear to appreciably encroach on built-in seismic design margin of safety related structures and components." The bottom line is that the plant responded well to the event with no apparent damage to safety significant systems nor to other systems and buildings generally. Dominion VP Eugene Grecheck told this blog in an exclusive interview immediately following the NRC’s Oct 21 meeting that "the utility is pleased we don't have to re-analyze the entire plant." NRC spokesman Scott Burnell confirmed to this blog Oct 21 that following a public meeting in Mineral, VA, on November 1 to review the agency's findings, that staff will write the safety review and prepare the decision letter. If all goes well, it seems reasonable to think North Anna could be back in the business of providing power to its customers by Thanksgiving. APR NOTE: Be sure to scope out Dan's new layout! Paul Bowersox has sent us two very good contributions this week. The first contribution is on the prestigious ANS Nuclear Cafe. "Samples from NRC Webcasts (First of a Series)"
Paul also submits "this very good one from Clean Energy Insight:"
"Mothers in Nuclear Share Their Stories"
There are many intelligent, caring and dedicated mothers in the nuclear industry. In order to share their experience about the nuclear world, NA-YGN has managed to capture the perspectives of four of these women. Their stories are humorous and insightful, and provide proof that you can be a nuclear professional while having a home life at the same time. Hope you enjoy the stories. APR Note: This is a very good read. 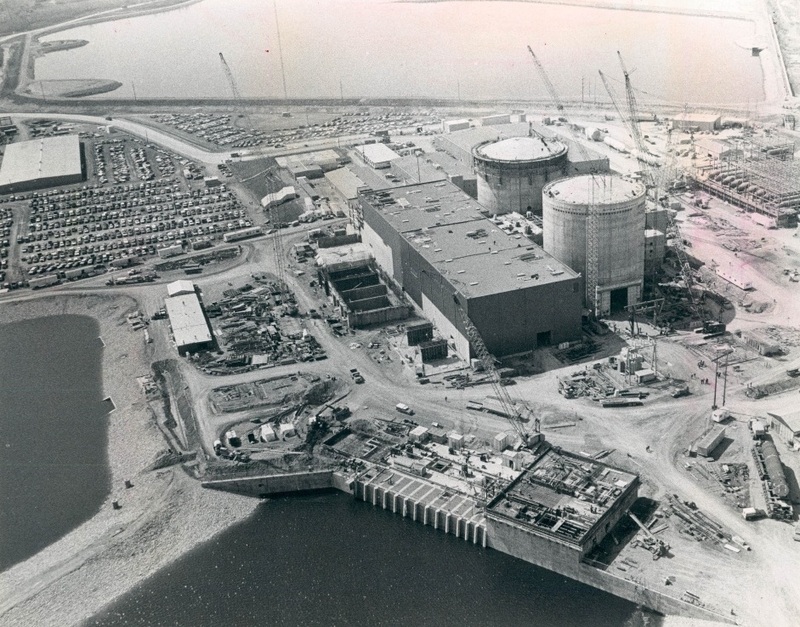 "Civilian nuclear energy programs as a "fig leaf" for proliferation: Does it matter?" In this post, I take a critical look at the idea that weapons proliferation follows as a natural consequence of civilian fuel cycles. Likewise, I ask the question of how relevant or meaningful it is when countries intent upon weapons proliferation attempt to use civilian programs as a "fig leaf" to cover up illicit activities. Gail Marcus writes about the growing confrontations over oil and gas resources today in two different parts of the world. These disputes are troubling reminders that disputes over resources have often led to warfare in the past, and that a transition away from such resources is needed to help reduce the risks of war in the future. That does it for this week's Carnival entries. I think this is as many as APR has had any time it's hosted this event - I really appreciate the time and effort everyone put toward this this week. Now to describe that odd looking thing you saw earlier. This is the pre-assembled body of one of the three primary sodium pumps manufactured for the Enrico Fermi Atomic Power Plant. Behind it is the cylinder or casing inside which it will be mounted, in a vertical position. This shot appeared in the ATOMS FOR PEACE / USA 1958 photo presentation book; the picture was taken on the shop floor of the Byron Jackson Division of Borg-Warner Corporation. 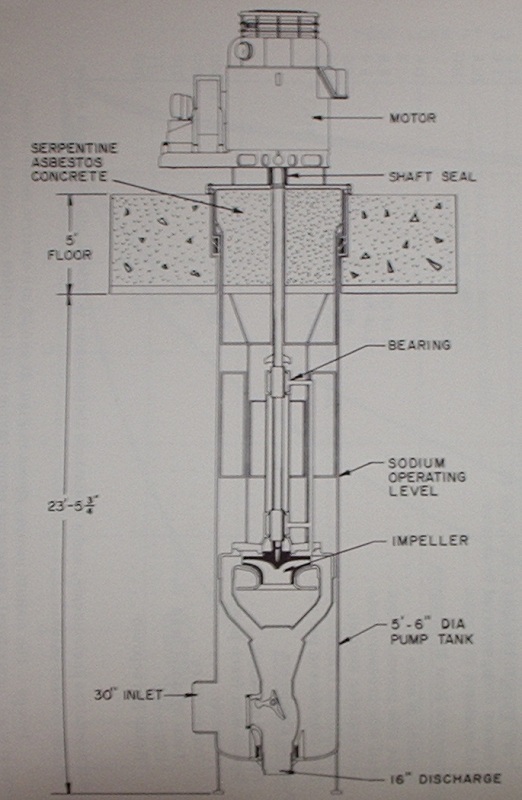 Above, an illustration of one of these pumps assembled and mounted in the plant. 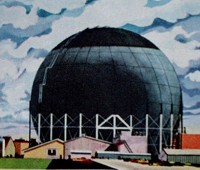 This illustration is from "Enrico Fermi Atomic Power Plant," publication APDA-124 published by Atomic Power Development Associates, Inc. in January 1959. Click the picture to enlarge; the dimensions of this pump are marked and it might be larger than you would think. This pump was driven by a 1060 BHP electric motor and was rated initially at 11,800 gallons per minute of liquid sodium at 1000F. Total dynamic head of the pump as designed was 310 ft. Later publications give a rating of 13,000 gallons per minute. 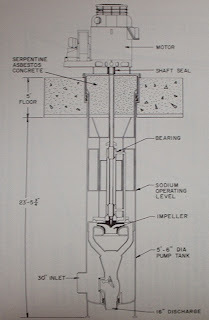 Above, another view of one of the pumps and its casing or "pump tank" from APDA-124. The outer diameter of the pump tank is five and a half feet. This is not the largest sodium pump for reactor service ever designed. Byron Jackson, in response to continuing fast breeder plant designs (which we know continued through cancellation of the Clinch River project in 1983) designed ever larger pumps until reaching probably the zenith with the machine shown below in an advertisement. This is a full page ad taken out by Byron Jackson Division of Borg-Warner Corporation in the Exhibitor Program for ATOMFAIR '68. 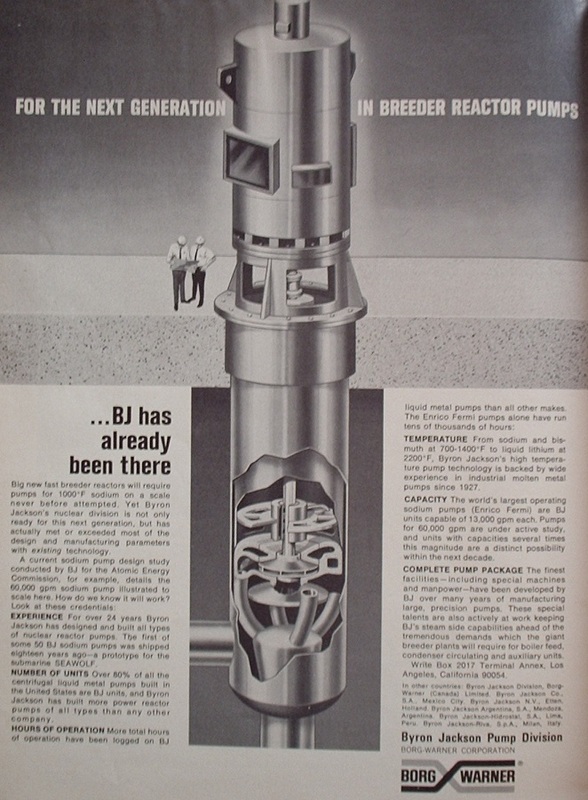 The ad can be clicked to enlarge; note that this very large unit was designed for 60,000 gallons per minute pumping capacity of liquid sodium. The ad copy makes interesting reading. That's it for Carnival 75! 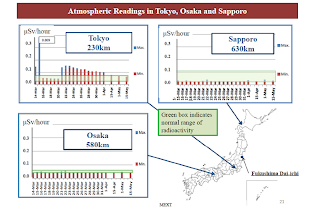 Readers might recall that, earlier, TEPCO conducted tests at two of the three reactors at Fukushima Daiichi in order to attempt to determine the condition of the bottom heads of the reactor pressure vessels. In that series of tests, TEPCO attempted to test continuity in the rod position indication equipment with the hope that failed areas could be mapped by detection of failed RPI equipment. However, for one or more possible reasons the equipment was deranged enough that no meaningful data were collected. So far as this writer is aware, the test was not even conducted on No. 3 plant because the data were so nebulous on the other two. Now, it appears that TEPCO has attempted to detect the condition of the pressure vessels at Fukushima Daiichi No. 2 and No. 3 by using sophisticated equipment to detect cable conditions in the core-contained neutron detectors. These detectors have a continuous cable run from the equipment all the way through the reactor building and dry well (PCV) wall and to the lower head of the pressure vessel, then up to the detectors. Although TEPCO doesn't mention what was used in the tests, this author is somewhat familiar with the use of a TDR or Time Domain Reflectometer for such tests and from memory the test waveforms that TEPCO is showing appear to be the result of using a TDR on the cable runs to detect where they're open or else shorted out. As with the previous tests using RPI cables, though, TEPCO reports that the new tests are not in any way conclusive. High temperatures and steam exposure for prolonged periods have caused the detector cables to fail such that no realistic mapping of the failed RPV regions are possible using this method. This is the second round of testing using electric cable runs that TEPCO has attempted in its effort to diagnose the condition of the pressure vessel lower heads. As we all know too well, the condition of the lower heads is not known for certain, although surely they're expected to be found failed when finally viewed (and that first view will almost surely be remote, not the actual eyes of a man) but TEPCO feels that the earlier the actual condition is estimated or described, the easier it will be to plan for defueling the plants. What seems clear now is that, in all likelihood, no sort of indirect testing such as cable continuity is likely to reveal anything about the actual vessel conditions. TEPCO will have to find some other way. The 74th Carnival is up right now at ANS Nuclear Cafe. A much clearer picture of the actual situation is provided in the linked story below. The enclosure for Fukushima Daiichi No. 1 is complete as of October 14, 2011. This was the first plant to suffer a hydrogen gas explosion with subsequent severe reactor building damage during the accident sequence. Below, TEPCO press photo showing the final roof panel unit being lowered. Below, TEPCO press photo showing the completed enclosure. Here are some "before" photos. Above, No. 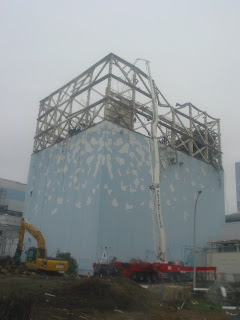 1 reactor building as seen on May 24, 2011 with concrete pumper truck positioned alongside. During the entire effort to recover the plants, these concrete pumper trucks performed yeoman service in many areas, including spraying water on spent fuel pools, carrying cameras for observation, and carrying airborne contamination sampling equipment. 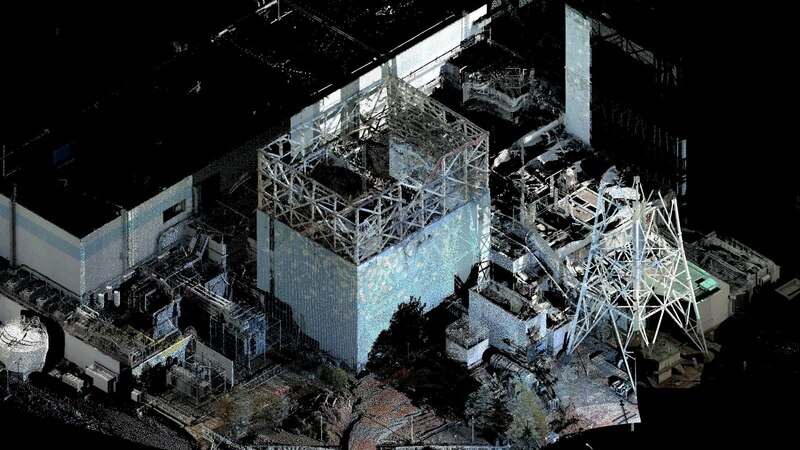 Above, TEPCO release showing laser imaging of the No. 1 plant. This is NOT a photograph; this image was obtained through the use of several laser imaging units, with the image results run through a computer program giving this image which appears to be a photo but which is actually a computer-generated 3D construct. CLICK ANY IMAGE ON THIS PAGE TO ENLARGE.. 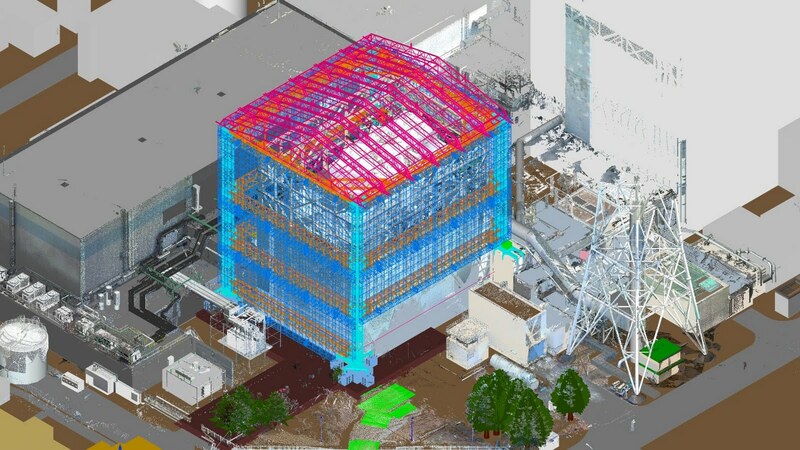 Above, TEPCO image showing CAD design for the completed reactor building enclosure. This image used the earlier 3D laser image data as a starting point; the structure was then designed and added to the image. Above, a realistic computer generated view of the completed structure. Note the close conformity with the structure as actually completed October 14th. This image is also from June. The plan was developed to construct major components at Onagawa which would then be shipped to the Fukushima Daiichi site by sea for assembly around the reactor building. 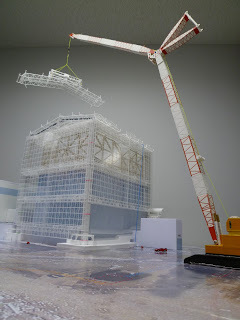 Below, analytical work on how the assembly was to be built at the Fukushima Daiichi site resulted in this detailed illustration showing one of the very large construction cranes, with all elements to scale. Finally, above, another view from about one month ago - September 10, 2011 - showing the framework of the structure well underway. Labels: "containment", "enclosure", "fukushima daiichi"
A 30 foot long, hairline crack has been discovered by workers at Davis-Besse while preparations are underway to replace the reactor vessel head. According to reports such as this one, the outermost shell is physically separate from the actual, steel vapor containment and thus this condition is not directly comparable to the long-standing shutdown at Crystal River, where failure to hire an experienced contractor and use of a newly developed process for cutting the containment resulted in delamination of the concrete containment building. There is no gap at Crystal River. As such this crack is not likely to be nearly as serious a failure to repair as that at Crystal River is proving. According to the local Fremont News Messenger (Fremont, Ohio, near Oak Harbor where Davis-Besse is located) an NRC spokesperson stated that the plant cannot restart unless this situation is resolved. Which is exactly what one would expect. FirstEnergy stock fell after the announcement; however, various recommendations I've seen in the last hour range from hold (Jefferies via StreetInsider.com) to buy (Deutsche Bank.) Deutsche Bank has a target price of $49 for FirstEnergy which was $43.76 at close (NYSE) on Thursday. This writer has yet to see any determination of whether this crack existed prior to cutting the opening for passage of the reactor vessel heads (new one in, old one out) or whether it has been caused by the operation. What is clear however is that the plant is totally safe and that a crack in the containment outer shell at this moment is irrelevant considering the large opening deliberately cut into the building to allow the work to proceed. It is repair of the crack and any certification or testing after reactor vessel head replacement is completed which stands now in question. This morning I made a post on one of my favorite social media forums, and while much of it was really kind of targeted at a specific point, I'd like to reiterate some of it here for my readers because I think it's important that we think about, develop, and vote on some sort of solid energy plan - better than what we have - in the United States, and that means selecting candidates in elections who understand our energy problems as they really are. In this embryonic policy idea, I made three points about an energy policy. -We must place loan guarantees differently depending upon what they are for. As an example, loan guarantees to develop nuclear belong covering owner-operators -- in other words, the utilities -- while loan guarantees for solar should NOT be given to manufacturers but rather to END USERS who will actually install solar equipment on their business premises or homes. I can add to that one further point. -We must decide on a national nuclear waste program, whether or not it includes continued on-site storage in dry casks, whether or not it includes centralized (federal) spent fuel storage and/or reprocessing, and if it is to use a repository get the studies done rapidly and the facility under construction. Some unified final plan is absolutely necessary. Much of this came out of the recent webinar with the NRC Chairman. I have a massive post about this webinar still in the works as a draft, and intend to publish it soon. It is very long, and likely will receive very widely disparate opinions. One part of this I can mention now is the fact that Chairman Jaczko stated that the NRC is really in no way ready to review any Gen IV reactors and that nothing is pending or being discussed at the NRC about these plants. Further, it's clear he killed the Yucca Mountain program fairly single-handedly with no substitute in sight. In support of the first point, it's clear that utilities are facing both continued scrutiny on the aging of older plants and concerns following Fukushima Daiichi as well. Considering that roughly one fifth of our energy in this country is nuclear, considering our desire to stop carbon dioxide emissions and acid rain, considering our desire to reduce or eliminate dependence on foreign oil, and also considering our need to develop jobs and improve our electric system infrastructure in this country, how do you not build new nuclear plants? The answer is: You DO build new nuclear plants. In support of the second point, there are those (this author for one) now who are beginning to wonder whether the NRC Chairman saying that nothing for Gen IV plants is on the horizon is simply a realistic appraisal of the likelihood of near-term application and review work for Gen IV plants or if it's plain obstructionism. In the old AEC days where the agency's job included both regulating and promoting, the AEC was up to speed fully on, say, fast breeders cooled by liquid metal as a result of its own EBR program and the Navy's SIR program (S1G prototype, S2G on USS Sea Wolf.) 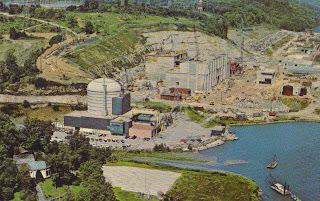 This made review of the Enrico Fermi Atomic Power Plant kind of in-step with work already accomplished and underway, and was supposed to have paved the way to what became the Clinch River Breeder Reactor project (later cancelled after AEC breakup) that might have helped close the fuel cycle loop. Since the NRC's purpose now is beginning to look a little more like obstruction than regulation, we clearly need to figure out how to rectify the situation and get the NRC to simply, only regulate without imposing political agendas (for example, "no" on Yucca Mountain, public scrutiny of Westinghouse on the AP1000 containment, deliberate "head in the sand" policy on Gen IV plants) and begin to help open a path toward future technologies. This can't happen when obstructionism is in place. To the third point... It's clear now that federal funding of Solyndra was both a mistake and an affront to the American people. It is my position that different loan guarantees for solar, or for nuclear, should be handled differently; as my example, I can say clearly that the trend now is for large central station nuclear plants to be planned and built, by and large, not small modular plants - so that loan guarantees are being issued to the utility companies who will build and operate the plants. However, no one is trying to build large solar power stations and won't in the near future - so that funding, say, solar panel equipment manufacturers such as Solyndra is a mistake. You must entice the end users (homeowners up through business owners, building owners, and maybe small communities at most) who will install solar equipment to attempt to reduce overall energy billing and come out ahead once the equipment is paid off and any maintenance is taken into account. It is that kind of user most likely to benefit from solar, and it is that kind of user that might be prompted to buy knowing that loan guarantees were available to the lenders they'd do business with. The two are different (nuclear and solar) and the loan guarantees if given must be handled differently. This will create jobs in the nuclear field in larger numbers while stabilizing our energy infrastructure, while in terms of solar will actually have effect on energy use bit by bit and create jobs that will stay instead of having a company like Solyndra hire a load of workers, then have to fire them all when it goes broke. As to my fourth point... The Chairman expressed his view that storage of spent fuel on site (at sites where nuclear plants are operating, or else where there were plants in the past that are now shut down) could reasonably last safely far longer than previously predicted and might be safe for a hundred years. That's very refreshing - I happen to agree. What's troubling is the still existing federal mandate to provide spent fuel storage. We need to adjust the letter of the law, and the focus of the country, on a realistic spent fuel program in terms of on site, off site, centralized storage facilities and any future plans for reprocessing. We also need to discuss any attempts to further develop breeders if there is enough consensus in the industry to build and operate them (again.) While this fourth point is not as pressing as the others it's vital. I would like to invite commentary on these views. Please either use the comment feature on the blog, or else the e-mail link on this site. Labels: "breeder reactor", "energy policy", "NRC"
Here is a link to an article worth reading. "Spent Nuclear Fuel Rests in Peace near Ft. St. Vrain." This article appeared in the Northern Colorado Business Report on October 7th and is a good example of level headed coverage concerning spent fuel storage at a site that formerly had, but does not now have, a nuclear reactor operating. 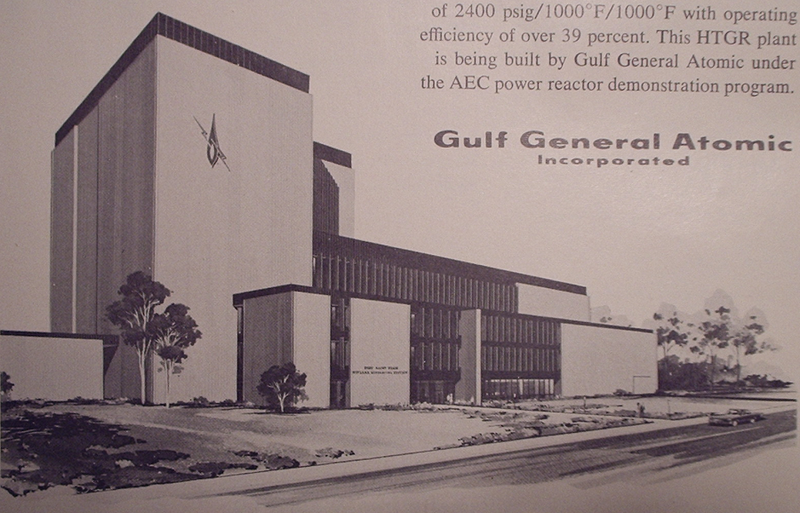 Ft. St. Vrain was the second of two General Atomics high temperature gas-cooled reactors to be built in the United States as demonstration plants and as central station generating plants. The first was Peach Bottom 1, ordered by a large consortium in 1958 (which was headed by Philadelphia Electric) and placed on line in 1967. Before that plant was finished, GA got an order for the Ft. St. Vrain Nuclear Generating Station from the Public Service Company of Colorado. Below we detail from an October 1968 ad showing the station as designed. 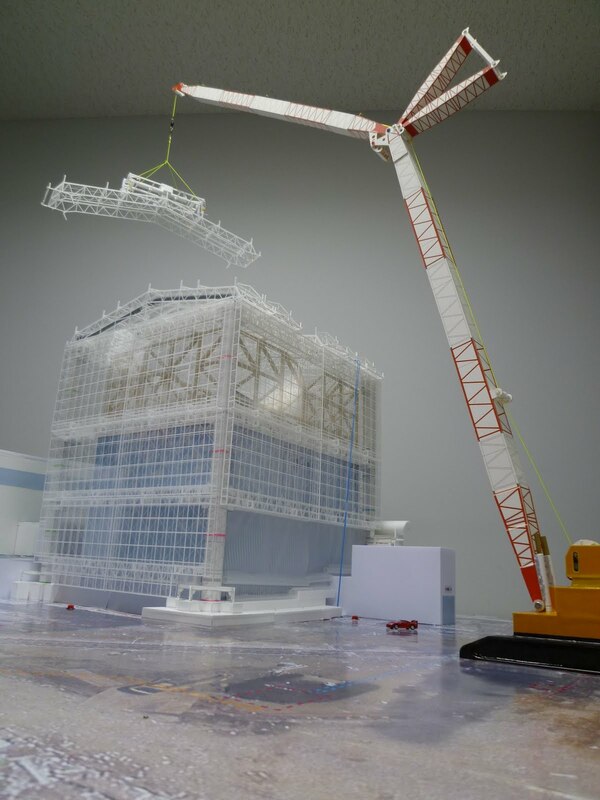 Construction is now proceeding rapidly on the 330 MW(e) High Temperature Gas-cooled Reactor (HTGR) plant near Platteville for Public Service Company of Colorado. Site preparation and excavation for the Ft. St. Vrain Nuclear Generating Station were completed during the summer; the construction permit was issued in September; and reactor construction is under way. This will be the first nuclear power plant in the U.S. to produce electricity at modern steam conditions of 2400 psig / 1000F / 1000F with operating efficiency of over 39 percent. 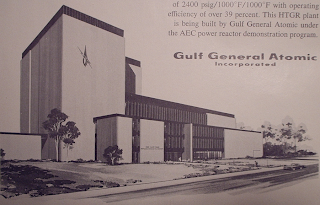 This HTGR plant is being built by Gulf General Atomic under the AEC power reactor demonstration program." The steam condition data in this quote is of interest, because prior to this time GA had made a fair amount of press with the first gas-cooled plant it built, Peach Bottom (later known as Peach Bottom 1 when two more plants, both GE BWR's, were built on site) by stating that Peach Bottom would be the first plant capable of generating 1000F steam in the United States from nuclear energy alone. Steam conditions on Peach Bottom 1 were 1450 psi / 1000F. Post card / APRA collection. 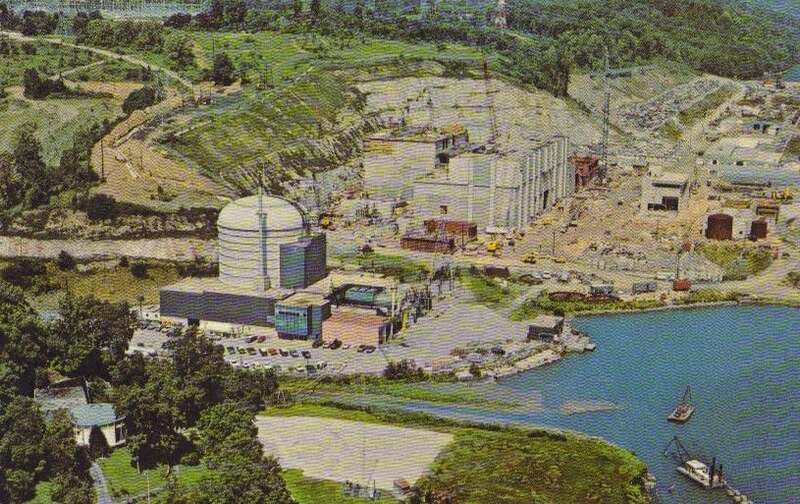 Left of center in this photo is the Peach Bottom 1 plant, the experimental 40 MWe high temperature gas-cooled reactor. Further away under construction are Peach Bottom 2 and 3, both ordered in 1967 and which are GE BWR plants still in operation today. In the very lower left corner of the photo is the now long-gone Visitor Center. I do hope everyone reads this article, because it's important to keep things such as this story in mind as we find ourselves temporarily (I hope) without a national plan for a central fuel repository or else a plan for fuel recycling. Labels: "ft st vrain", "gas cooled", "spent fuel"
Here are two sites that are worth looking at... and which are PRO-NUCLEAR! Nuclear Friends Foundation is located in India, and has as its focus the developing nuclear energy industry in that country. However, much of their information is wholly applicable elsewhere. What is Nuclear? 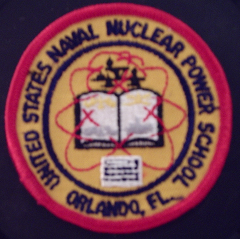 This site has as its mandate the "no-nonsense public education on the use of nuclear energy to help with the energy problem." Lots of information easily read on this site. And we also have another new ANS member's site: The Nuclear Diner! This awesome looking site was just launched this week and yours truly will be going straight away to sign up and begin participating. Cheryl Rofer is to be commended; I really like the presentation of this site. It's unique among nuclear websites and blogs. That's three sites to check out that are pro-nuclear! TEPCO has released its third video in the series which is intended to inform the public about operations and conditions at the Fukushima Daiichi site. This video is now up at the APR YouTube Channel... link below. TEPCO is to be commended for its transparency vis a vis the content of these videos; the new video is perhaps the most graphic yet in terms of what MIGHT happen if cooling water injection is interrupted for various periods of time. Even the worst case scenarios (which frankly are only remotely likely, on the order of probability of the tsunami that caused the accident in the first place) are examined and described. A few notes may be helpful to non-nuclear readers and viewers, however. -The equipment being employed on site and which is described in this video is wholly non standard. The arrangements of equipment external to the plants in terms of tankage, hoses, mounted pumps and also fire engines and diesel generators and pumps have been set up in stages over time since the accident in ever-improving layout, operation, redundancy and effectiveness. This should be kept in mind when viewing this video - in other words, that the possible scenarios are limited to Fukushima Daiichi Nos. 1 through 3 plants ONLY. -In many places, TEPCO makes calculations or estimations which are clearly in error on the conservative side. As one example, TEPCO states that effects of metal-water reactions upon exceeding 1200C (in the unlikely event of prolonged feed interruption) are made using original core inventories even though it's proven that a large amount of the zirconium metal in the core has already reacted and thus is not actually available for further reaction. In this way, at every step of any process considering decay heat removal, estimates of the time required to react will be much shorter than actually required. -When describing the dual fire engine flood feeding (core reflood) with two lines, TEPCO omits to indicate that one of the fire lines would feed through the feedwater injection line (feed sparger ring) while the other would feed through the core spray ring. 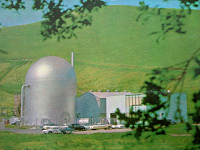 At present, both are in use at all three reactors. This video is very descriptive and outlines a number of possible but unlikely scenarios. TEPCO is clearly prepared for any further complications on site which would affect cooling of the damaged cores, and this video should calm a few of the most worried observers quite a bit. APR YOUTUBE CHANNEL LINK - See "Fukushima Daiichi - Cooling Water Injection." Brian Wang is hosting the 73rd Carnival over at Next Big Future; use the link above to see what the nuclear world is blogging about. The pro-nuclear world, that is. Readers here might wish to flip over to the APR YouTube Channel and view two videos that I have placed in the "Favorites" section. One of them, very short, is from Dominion and discusses the NRC actions at North Anna following the earthquake. The other is a video update from Southern Co. on the progress of construction of two Westinghouse AP1000 plants at Plant Vogtle. This video is very interesting and for those not familiar with nuclear plant construction I dare say might be fascinating. As reported on the NRC blog, Davis-Besse has been shut down for replacement of its pressure vessel head. 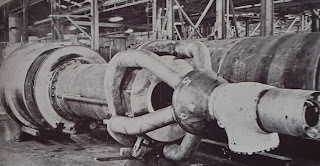 This plant is a Babcock & Wilcox pressurized water plant which went into commercial operation in 1978. This plant has had extremely bad press because of a deficiency discovered during an NRC mandated inspection of its pressure vessel head. 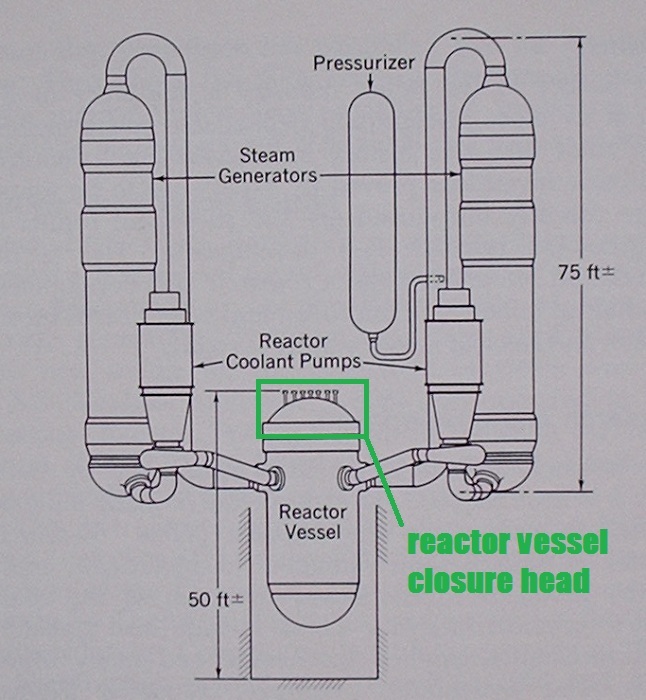 Below, an illustration of a plant like Davis-Besse (Babcock & Wilcox raised loop) showing the location of the pressure vessel head - a heavy, bolted lid which seals off the upper end of the reactor pressure vessel and through which are many holes to allow for installation of control rod drive mechanisms and for instrumentation. 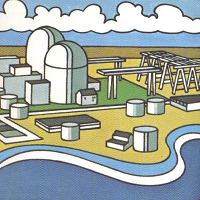 Background: After a number of licensees (that is, utility companies operating nuclear plants) had reported cracking in vessel head penetrations to the NRC, the NRC issued a bulletin in 2001 which was bulletin 2001-01 calling for data concerning the various licensees' inspection programs to detect this type of possible failure. Davis-Besse addressed the requests of this memo during its first available refueling outage in February 2002, at which time a serious flaw was found in the vessel head which had been caused by a boric acid deposit. This threatened the integrity of the vessel head, and much bad press surrounded the discovery of this defect. The head could not be saved, and another had to be either made or found. Fortunately -- at least, temporarily -- for Davis-Besse, there was a practically identical head available, unused, in Michigan. Consumers Power Company's Midland nuclear station, a two-unit Babcock & Wilcox plant, had been cancelled back in the middle 1980's due to a downturn in power demand generally and, specifically, a large number of on-site problems (diesel generator building sinking, improper welds in No. 1 plant's vessel, cracked support bolts for the reactor vessels, and not least, a well publicized $120,000 fine against Consumers Power for deliberately violating quality assurance requirements and for design and construction code violations.) 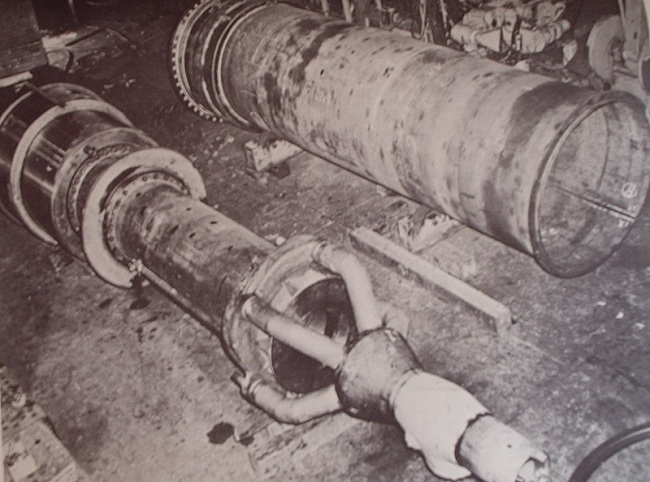 This plant still had on site one vessel head which Davis-Besse could acquire and apply to its plant. However, since this head was of the same material as the original, it was susceptible to all the same potential corrosion problems as the first, so that Davis-Besse was required also to order a new head that would be applied later on. Below, the unfinished (and actually never finished) Midland nuclear power plant as it looked in May, 1978. Press photo in APRA collection. To make a long story short, the former-Midland head went on in 2004, and six years later upon inspection showed a few tiny cracks. Not serious ones, but cracks nonetheless. This was probably not particularly surprising to many in the industry. These cracks (which were repaired) led FirstEnergy to move the head replacement up from 2014 to the present time. 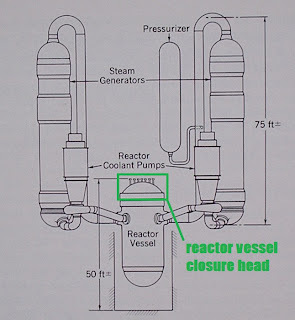 The NRC blog notes that over half of the pressurized water reactors in the United States have actually had their pressure vessel heads replaced. Thus, this is by no means an unusual procedure. I will be making another post soon covering some details of pressure vessel construction that might be of interest as background for this type of maintenance. 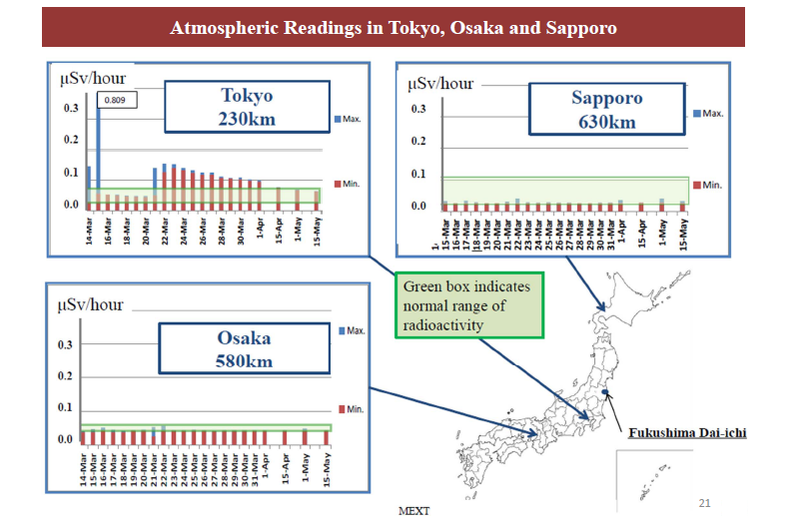 Anyone who has been following events at Fukushima Daiichi should run over to the American Nuclear Society's "ANS Nuclear Cafe" blog and read Rod Adams' fine new article, fresh off the press. I could not have summed up the immediate situation vis a vis general press reporting ... and the truth ... any better. I'd especially advise those in the media, and in particular those who always call up the same tired old media hacks, to read this article and think about the quality of the coverage they have provided, and how they can make that better in the future.